This past weekend the club sent 14 of 24 teams on the road for the final events of the year. Six teams competed in the 16u girls age division with 5 in the 14u. While five more competed across the genders at 18u. When the snow settled … oh wait a minute it still hasn’t, the results were varied and depending on the team and their goals success could be found at every age. Leading us off this weekend are the 14u Banditas, this group of pesky players were in Kingston with rookie Mavs Coach Richard Paquette. The group came together late at try-outs and ever since have been on the rise both on the court and off, and Saturday was no different. Coming in to the tournament as the number 1 seed the team could only succeed with one result, cruising through pool play the Banditas went on a perfect 3-0 run in the playoffs to seal that golden finish and earn themselves a berth in the next Championship level event in 2016. Also in Kingston were the 14u Desperados under the guidance of coach Mikhail Nefedov and the 13u Rattlers under the watchful eye of Coach John Salem. Both teams had days that lead to many highs and lows but after it was all said and done the Desperados would claim the Bronze while the 13u Rattlers succeeded in gaining their first pool victory at 14u and followed a tough loss to the Banditas in the quarters, they skillfully rebounded with a win over the 14u Fusion team to claim 6thplace in a tournament of 8. Also at the 14u age group we find the Outlaws and Raiders travelling to Cornwall for the Championship D tournament. This event would be a big step for these teams as they both stood a strong chance at moving to the new Premier East division that the OVA has instituted for 2015/16. Coaches Nick Krawchuk and Rob McMullin along with master coach Mohammed Shaheen were up for the challenge. The schedule maker was not on our side however as these teams were seeded 4thand 5th. Holding their seeds meant the two teams would shoot it out in that essential quarterfinal match with the eventual victor moving on. As with all Mavs vs. Mavs matches these two teams wasted no time showing each other they were up for the challenge. But when the scoreboard made its final turn the Outlaws were on their way to Premier with a Bronze while the Raiders must wait for the decision of who will be the 9thteam moving to premiere. (Top 4 from Championship C & D move up while the best 5thwill join them). 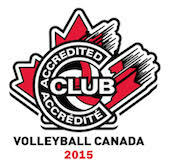 Regardless all four of our 14U girls teams will be competing at the Championship tier or higher a first for the Club. That’s over 40 athletes, from 4 teams, who are able to experience the higher tier competition. At 16u the tale is long and the trail winding. Six teams competed across three divisions. All four 16u squads and two 15u Hp teams joined the fray. In the brand new Select Division the Wildcards and BlackJacks were off to the big smoke to give it a go at a premiere promotion. Coaches Spack and Henderson were dealing with injury and illness but were still prepared to compete. The Wildcards held on for a tight win in their opening match but a second round defeat left them where they came in seeded 6thgoing to playoffs. The beaten and bruised BlackJacks didn’t fair quite so well so well as they slipped from the number 3 seed to 9th going in to playoffs, then to add insult to injury the girls were unable to come up with anything resembling their “A game” in the pre-quarter match vs. Breakers. The Black Jacks were facing a back to the wall showdown now just to remain in the Select division that would make Rocky proud. First up the Phoenix Heat who put it on with a heart pounding 17-15 third set struggle that the Blackjacks were able to take the pot in and move on. Here is where we see yet another all Maverick showdown. The WildCards had lost their first round against the Predators Purple squad who earlier took down the BlackJacks to win the C pool. This result and the ‘Jacks win meant only one team would remain in Select while the other would drop to Championship. Two teams with bruised and battered rosters didn’t hold back any punches and the defensive wizards known as the wildcards forced a third set vs. their sisters. This game started as a battle but eventually the ‘Jacks picked up their play and moved on to a crucial final game. Now you would think that things would get a little easier for our girls but instead they found themselves against the #2 seed Leaside Lightning who were blown out by the 15u Hurricanes and then the surprising Oakville Thunder who would go from #9 seed to eventual champs. The BlackJacks rose to the challenge accepting everything that was dealt their way and countering with the best match of their day and were able to prevail and remain at the top tier in their age group for yet another event. In the 16u Championship tier we saw our 15u Ambush and 16u Gamblers compete in Scarborough. The Ambush came in with the #3 seed in this event but a costly second match loss to DRVC dropped them into a direct head to head battle with OFVC and while the girls played tight and were their own worst enemy in the first losing 22-25 they rebounded and cruised through the second winning a comfortable 25-14. Tight play to start the third put them in a 2-7 hole, which incredibly the team rebounded from to trail only 7-8 at the switch. Here more discomfort and some major distraction lead to the Ambush giving up the last three after having match point in their grasp. The team and Coach John Nguyen got off the mat and easily won the important 5th/7th match to remain at championship and have another go at these older teams. The Gamblers were in a little over their head at this juncture in their training, but lead by the ever positive and supportive Joel Bergeron the girls gave it their all in every match and I am sure that despite their relegation down to Trillium they will be back to test these championship waters again as they competed well in all matches that they played. Ok up to the big leagues and 18u. The Colts travelled to Pembroke where it seems they may have been on a little bit of a post school preholiday distraction. Coach Aaron Wade’s girls were not able to figure out their game on this day and will return to Trillium for the next event. Judy Mousseau and her 17u GoldRush who were playing in Championship had little more success and in fact struggled to the point that for the next event they will be joining the Colts at the Trillium event. The 18u Broncos were off to Premiere in Toronto but they were also a little light in the roster with starting setter Emie Gaboury training with Team Canada. The team was also like the 16u girls bruised and battered from a grueling HS season that included two tournaments in the 5 days before Christmas break. IN the end it was just that one or two points shy of what it took to remain in premiere so they will take the Colts place in Championship next 18u go round. Everyone here back at the Hacienda are confident this set-back won’t deter these girls or Coach Colin Walker from making it back to the top. Now over to the Caballeros side of the draw. We find only the two oldest teams competing, both in the 18u division. The 18u Mustangs and 17u Rangers were in different events, but that won’t last for long, as you will soon see. Frank St Denis’Mustangs travelled to Centennial College in Scarborough in an effort to better their previous 5thplace finish. However again we find one of our teams the victim of the attention Team Canada is putting on our members. 6’10” Kevin Lebreux would be returning from a week in France with the FTC and be unavailable for competition. The guys were out to see what the group could manage shorthanded. The day did not start well with losses to the 17u Titans and eventual tournament winner Storm. The Mustangs would have to play an extra round to remain in the game. Fortunately the team regained its thoroughbred nature and handed the BallHawks a straight set loss. All of this just to play the #1 seed Pakmen in the quarters. A game that most teams try to avoid at all costs. The impressive depth and power of the boys from Mississauga rose again to thwart our guys’ hopes for a final 4 standing and now they would play their arch Nemesis, Scarborough Nemesis. Yes check the irony in that one. The “stangs held on for a thrilling 26-24 and 25-14 win to take that fifth place standing a steady performance leading to questions about what it is going to take to break through. Coach Bruce Dunning’s Rangers who limped away from a terrible weekend at their last 17u event were able to rebound dramatically with a sweep of this event in Kingston. The team defeated another 17u group (Pakmen Gold) for the Gold medal and the right to join the Mustangs at Premiere for the next event. Translation, 2 of the 9 top boys teams in Ontario now bear the Maverick brand, something that has typically only happened on the girls’ side of the ledger in the past. So congrats to all our teams who had many successes and several thrilling encounters week after week. 2015 was a good year and a solid start to the current season. We wish you all a happy and restful holiday season and look forward to your adventures in the new year.